This week I planned to participate at Arctic Business Forum in Rovaniemi in Finland. 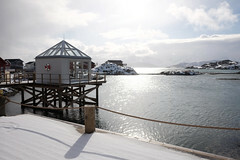 The conference is an annual meeting place for business in the European Arctic region. My city of office is Tromsø in Norway. Both cities are situated in the Arctic. The most reasonable way of traveling between these Arctic cities is by car. Of course, both cities have airports and regular daily flights to the national capitals of each country. It is possible to travel by plane for Tromsø to Rovaniemi, but such a travel will take at least 8 hours from check-in in Tromsø to arrival in Rovaniemi. The price for a round trip is 20 000 NOK, even if you book two month in advance. By car, the distance is 600 km one way. Travel time is 7 hours 30 minutes. Going by car is less expensive, approximately 5 000 NOK for a round trip. Unfortunately, two avalanches hit the main road between Tromsø and Finland yesterday. The road was planned to be opened at 10:00 this morning. My original travel plan was to depart Tromsø at 08:00 and arrive Rovaniemi no later than 16:00. At 10:00 the road authorities announced the road to be maintained closed until 14:00. The weather conditions in these parts of Norway have been rather harsh today and the forecast for the rest of the week is not good: heavy rain or snow showers and periods of gale. Travel time by car can be expected to increase by several hours. Because of this I changed my plan for this week. I’ll stay in Tromsø. This illustrates one of the major Arctic risks: weather and the forces of nature. 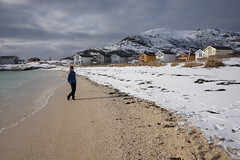 Arctic residents are accustomed to deal with long distances and long travel. This is one of the limiting factors for interaction and development of the Arctic region. An important goal of the authorities is to facilitate more efficient and predictable transport. 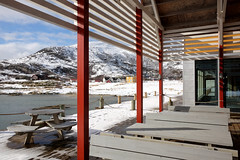 This autumn an international flight connection in the European Arctic is planned established: Tromsø (Norway) – Luleå (Sweden) – Oulu (Finland). There are high expectations for the impact of this flight connection on the development of industry and research. See you next year at the Arctic Business Forum. I guess I’ll still have to go by car: There is noe airplane service between Oulu and Rovaniemi. Driving distance is 200 km. I might as well drive 600. Arctic citizens enjoy long road trips, don’t we?